McLaren had a terrible time in charge of England last time out. 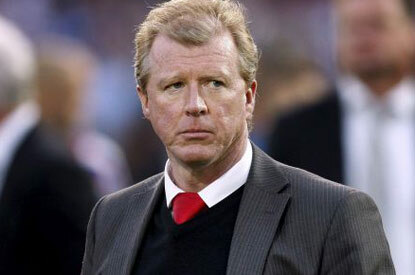 Goal.com is reporting that Steve McClaren could be tempted back into management by the England U21 position. McClaren has hinted that he could be in line to make a return to the national side after being sacked in 2007 after failure to qualify for Euro 2008. He has been touted for a short-term deal that would see him coach the Under 20 team as they embark on the FIFA U20 World Cup in Turkey this year. This would set him up perfectly for a full-time role in the Under 21s as Stuart Pearce’s contract expires at the end of the summer after the European Championship.